Wash-in waterproofing for canvas and synthetic horse rugs. Ideal for Gore-Tex® and New Zealand rugs. Wear gloves. Use 500 ml for 1 rug, with 10 litres of hand-hot water in vessel. Wear gloves. Spread clean rug on clean area and wet thoroughly with a hose. 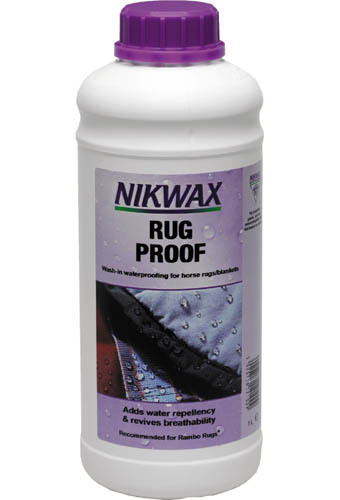 There are currently no questions for Nikwax Rug Proof - be the first to ask one!